The founder of this important school, Yokoya [Japanese text] Sōyo I [Japanese text], known as “Grandfather Sōyo” (d. 1691), worked for the Shōgunal Court at Yedo purely in the classical Gotō style. His great successor, Sōmin I (d. 1733), followed in the same path until he resigned his official post and created an entirely new style, the influence of which spread far and wide among contemporary schools. 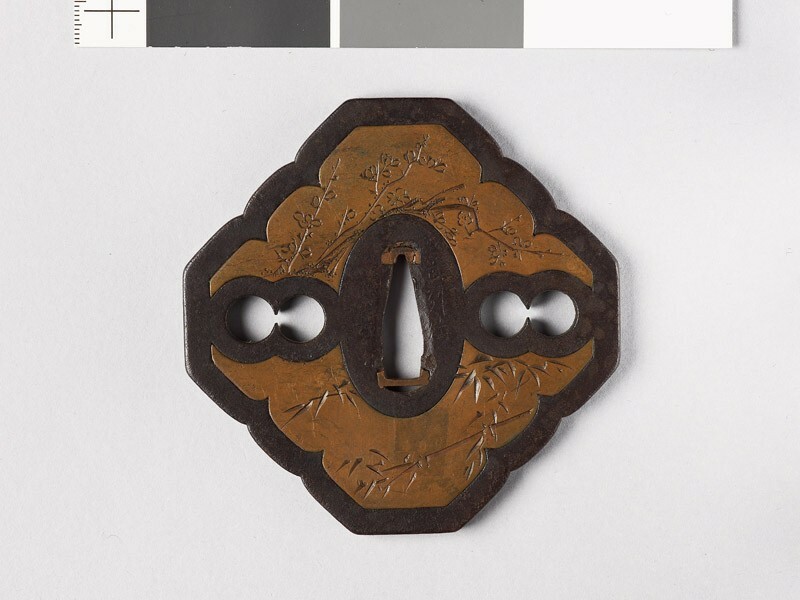 This consists in the peculiar technique already described in the Introduction under the name of kata-kiri engraving. 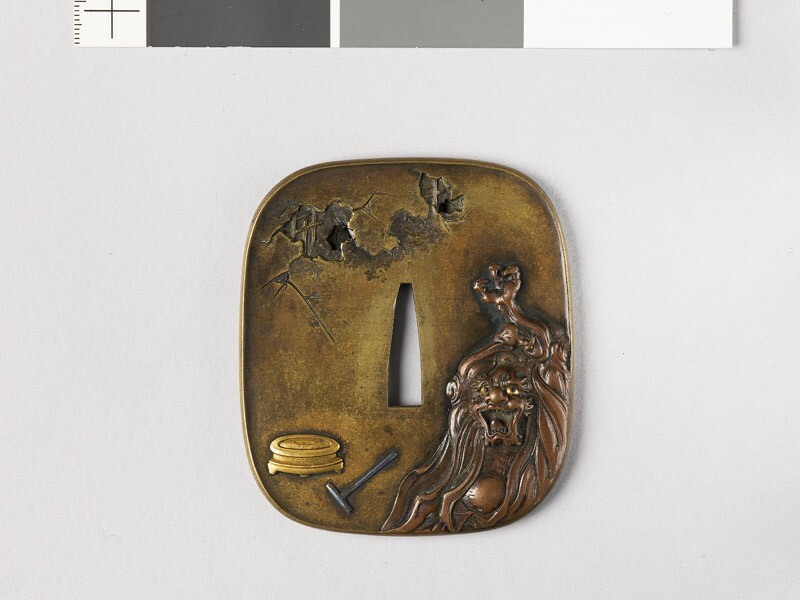 Sōmin I owed many of his designs to his bosom-friend, the painter Hanabusa Itchō. He was followed by a succession of Sōyo’s and Sōmin’s extending into the second half of the 19th century. 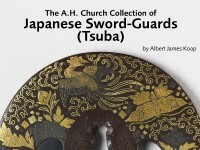 Actually the making of guards was a side-issue with the Yokoya (hence the exiguous representation in this collection); they favoured the koduza and originated the vertical placing of the design in this particular mount, as opposed to the horizontal position preferred by the classical Gotō masters. The favourite grounds are naturally the soft metals, and particularly shibuichi of a light silvery-grey tone.